How do I use an eSIM? Can I get an eSIM deal? A dual SIM smartphone offers a way to maintain two different mobile numbers without carrying multiple devices. With two SIM cards in a phone you can make and receive calls on either number without physically switching the cards, and when someone calls you’ll be able to see which line they’re ringing on. This lets you separate personal and business calls. It could also be handy to use a different SIM card when abroad to get cheaper calls, texts and data. 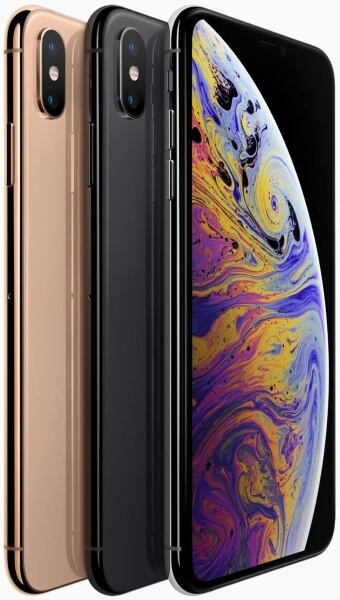 Until now only Android smartphones have offered dual SIMs, but with the iPhone Xs and Xs Max you can now get an Apple phone which supports two mobile networks at once. Though it’s not quite as straightforward as slotting a second SIM into your shiny new iPhone. Only the Chinese versions will support two physical cards, while the rest of the world is getting dual SIM capability with the addition of an eSIM alongside the nano SIM card slot. But what the heck is eSIM? An Embedded Subscriber Identity Module (eSIM) is a tiny chip which does the same job as a regular SIM card, but it’s built into a device and cannot be removed or swapped like a regular SIM card. The eSIM can be used to store multiple networks and quickly change providers. A network switch could be carried out in minutes. You could even store different mobile contracts and switch on the fly to get the best prices or coverage (though only one network can be used at a time, so an eSIM alone does not yet provide true dual SIM functionality). This is not limited to phones. Apple is already using them on its watches, and in the near future we'll see them in a wide range of other devices, including mobile broadband dongles. By removing the need for a physical card and accompanying slot, manufacturers will be able to save precious space when designing hardware. It will also be easier to add mobile connectivity to a wider array of gadgets such as smart watches. No more PAC codes or waiting for a SIM card to arrive in the post - just choose a new mobile deal and you could be connected in minutes. With an eSIM you could store multiple mobile network profiles and swap between them as required. If eSIM is widely adopted it would make it much easier to use our mobile devices abroad by allowing us to instantly swap to a local network. Normal SIM cards are easily damaged. And they can be removed, cutting a phone off from the network. An eSIM is far more resistant to wear and tear as it’s built in and inaccessible without cracking open the device. We can’t just start using eSIMs: networks must support them, and so far only a small percentage of operators worldwide has signed on. Until this number grows significantly one of the key advantages of an eSIM - easy network switching - is of limited use. As eSIM is part of the hardware you’ll have to upgrade to start using it. And with so many older devices around which will never support eSIM we’re not going to see the death of the SIM card any time soon. An eSIM makes it easier to switch networks, but swapping between devices is not quite as straightforward. With a regular SIM, if your battery is running low it’s easy to pop out the card and borrow a friend’s phone; that’s not possible with eSIM. Very broadly, using an eSIM with a phone will simply involve deciding on a mobile deal then activating it on your smartphone. Once setup you’ll be able to swap between mobile services. For the iPhone Xs or Xs Max we know that to add an eSIM service you’ll have the option of scanning a QR code or purchasing through the network’s app, which can be downloaded from the App Store. eSIM plans can be managed on the iPhone via the Settings > Cellular menu. If you’re also using a nano SIM card you can choose which is the primary or secondary SIM - this will control which SIM is used for calling, texts and data by default. You can also choose to use the secondary SIM for data only. Don’t rush out to get an eSIM deal just yet. For one thing, in order to use eSIM deals with the iPhone Xs or Xs Max you’ll have to wait for an iOS software update later in the year. And so far the only UK network to announce support for eSIM is EE. Other supported networks around the globe include T-Mobile Austria, Bell Canada and Vodafone Spain. Worldwide networks Truphone and GigSky will also provide eSIM contracts. See this list of eSIM carriers on the Apple site for more information.